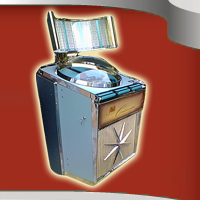 Typically from the ‘Silver Age’ of the 50s and 60s, classic jukeboxes are often characterised by their chrome-clad exteriors. 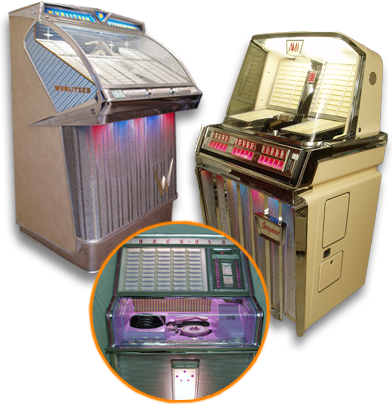 They feature a visible mechanism, which enables you to view the playing record, and posses a valve amplifier for the warm, mellow tones. 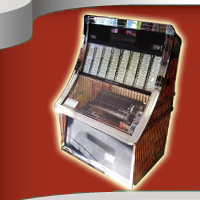 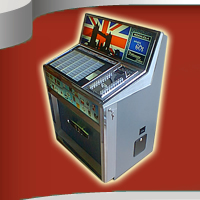 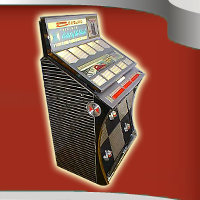 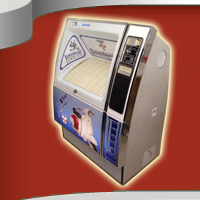 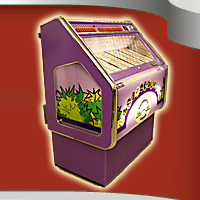 Classic jukeboxes are a fairly sizeable investment, but with our commitment to quality, they will be an investment you’ll be able to enjoy for years to come while appreciating in value. 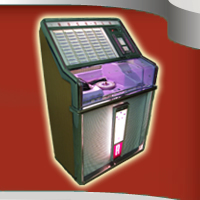 To view a gallery of classic jukeboxes we have previously completed, click on the green disc. 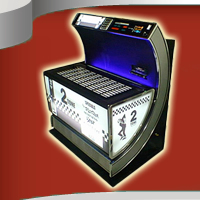 If you are interested in other models, please let us know and we will do our best to source them.